We have a lot of messages in this country about success — especially in terms of money — and it can take us way from what might be truly important to us. Not that there is anything wrong with financial success, because that has many wonderful benefits. But it can’t be the only focus, or it costs us our happiness. And if we aren’t experiencing the wealth we are told we should have, we may not allow ourselves to experience the happiness that we could be experiencing. I had the pleasure of interviewing Brad Yates, who is known internationally for his creative and often humorous use of Tapping/EFT (Emotional Freedom Techniques). 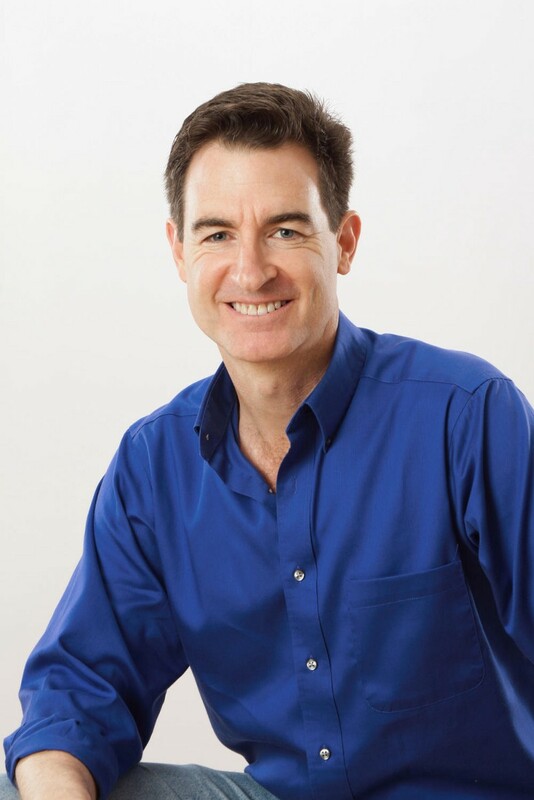 Brad is the author of the best-selling children’s book “The Wizard’s Wish,” the co-author of the best-seller “Freedom at Your Fingertips,” and a featured expert in the film “The Tapping Solution.” Brad also has over 800 videos on YouTube, that have been viewed over 22 million times. In other words, “How does a grown man find himself tapping on his face for a living…?” The seeds were actually planted when I was 15 and my Dad gave me a copy of “Illusions” by Richard Bach. But it wasn’t until nearly two decades later — when I was a struggling actor and my wife was pregnant with our first child — that I had the thought that maybe I needed a back-up career, and felt draw to personal development work. I started as a hypnotherapist, and that led me to tapping, which quickly became my preferred modality for transformation. I think it is different for different people, but ultimately it has to do with figuring out what we are here for. I can’t speak for everyone, but I have a sense that we are here to be of service to others — but in a way that is also fulfilling to us, as opposed to being a matter of personal sacrifice. It’s about making the world a better place in our own unique way. There have been a few times where it was clear that I was not being who I could be — not providing what I could provide. Times I felt I had to step up… and step into a better version of myself… or face some serious loss. And when we are ready and willing, opportunities show up. Mostly through the tapping videos I’m able to offer freely on YouTube. I’m grateful for the opportunity to put so much out there that can help folks mitigate their discomfort and experience more peace. I could probably come up with several, including meditating and journaling and exercise… but — no surprise — the main one is tapping. I start each day with a bit of tapping to clear whatever resistance I might have to being my best, feeling my best and doing my best. I can’t say I achieve 100% perfection each day, but this gives me much more freedom to create a better day, and be of greater service. It may be watching a tapping video or simply tapping while reciting affirmations or a certain prayer, or even the phrase, “Thank you for what I have, and thank you for what I am receiving.” It always puts me in a better state. Probably my favorite quote is the one attributed to Gandhi: “Be the change you wish to see in the world.” Because it puts the responsibility on me to be who I can be before I can expect or ask anyone else to be different. So much power in that… and so much sense. And, admittedly, so much challenge. I am always coming up with new videos… new ideas that I hope will help people experience greater peace and freedom. And I love traveling and doing workshops and meeting people in person. There’s so much power in live events, where a group of people have come together with the intention of clearing their block to being the best version of themselves.